We sell high-quality lighting solutions at prices that won’t break the bank. Choose lighting solutions from trusted brands including Philips, Halco, Universal Lighting Technologies, and many others—all competitively priced to fit comfortably within your budget. 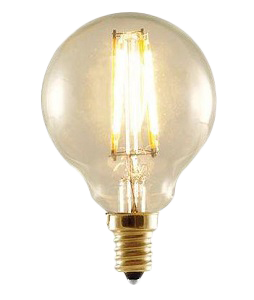 Browse our wide selection of residential, industrial, and commercial light bulbs. Our goal is to be your go-to lighting resource. Whether you need commercial LED lighting for your retail store or fluorescent tubes for the office, you can always count on Atlanta Light Bulbs to meet your needs. 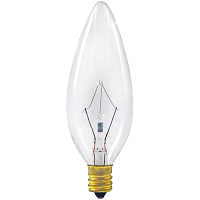 We even carry a wide array of obscure specialty bulbs that you won’t find available anywhere else. Savvy business owners turn to us for commercial light bulbs because our prices are the lowest in the industry. Don’t be fooled by our discount prices—our commitment to providing quality, brand-name lighting products is unparalleled. Our large-scale business model allows us to save on our inventory expenses, and we pass those savings on to our customers. Atlanta Light Bulbs is much more than just a retailer—we’re an expert resource with over three decades of experience. We realize that shopping for lighting products can be difficult, but our in-house specialists make it easy for you. If you have any questions about residential, commercial, specialty, or industrial light bulbs, we’re just a quick phone call or email away. Order commercial light bulbs with confidence, knowing that we ship fast, offer a simple return policy, and always go the extra mile to keep our customers smiling. Got questions? We’ve got answers. Call 1-888-988-2852 or message us online, and one of our friendly lighting specialists will be your guide every step of the way. Stretch your dollar further at Atlanta Light Bulbs.